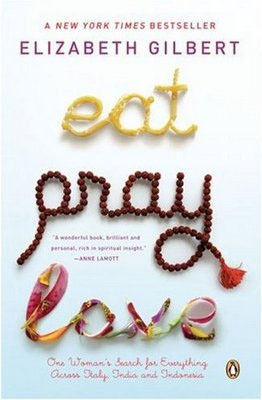 This is the story of a New Yorker who decided to shake her life after a devastating divorce and a severe depression, and made up her mind to dedicate a year spent to eat (in Italy), pray (in India) and love (in Indonesia). It’s a mixture between a normal diary and an extensive travelogue. What I liked about this book: it feels like I was conversing with her sometimes, or reading her mind, knowing her fears and happiness. That’s why I liked the part she spent in Italy, just learning Italian (for the sake of learning Italian) and learning how to appreciate good food after a period of lost appetite due to the depression phase. She was doing a deep cleansing of herself in a way that not too many people would understand, but only her can appreciate. In this part she was brilliant in attracting the reader to grab a cup of coffee and just sit and read, it felt like a cosy girls’ talk night. Final word, it’s an interesting book, a light read, may be interesting for girls wanting to have a chitchat, or for anyone interested in what an American woman was doing in Italy, India and Indonesia for a year. ـ نجيب محفوظ: ليالى ألف ليلة (مكتبة مصر ودار الشروق). ـ فتحى رضوان: عصر ورجال (الهيئة العامة لقصور الثقافة). ـ د. طه حسين: جنة الشوك (دار المعارف). ـ فهمى هويدى: القرآن والسلطان ( الشروق). ـ محمود عوض: بالعربى الجريح (دار المعارف). ـ د.جلال أمين: ماذا علمتنى الحياة (الشروق). ـ عبد الرحمن الأبنودى: يامنة وقصائد أخرى ـ مختارات (أطلس للنشر). ـ كارلوس فوينتس: موت أرتيميو دى كروث (المجلس الأعلى للثقافة). ـ إبراهيم عبد القادر المازنى: صندوق الدنيا (مكتبة الأسرة). ـ محمود أبوريّة: أضواء على السنة المحمدية (دار المعارف). ـ بهاء طاهر: الحب فى المنفى (روايات الهلال). 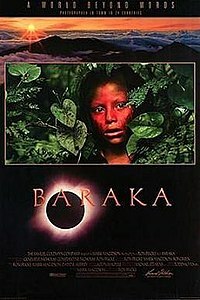 “Baraka (1992) is a Todd-AO (70 mm) non-narrative film directed by Ron Fricke, cinematographer for Koyaanisqatsi, the first of the Qatsi films by Godfrey Reggio. Often compared to Koyaanisqatsi, Baraka’s subject matter has some similarities—including footage of various landscapes, churches, ruins, religious ceremonies, and cities thrumming with life, filmed using time-lapse photography in order to capture the great pulse of humanity as it flocks and swarms in daily activity.” ….. I was very impressed with the numerous locations: Egypt, Kenya , Tanzania, USA, Argentina, Brazil, Ecuador, Cambodia, China, India, Indonesia, Iran, Israel, Japan, Kuwait, Nepal, Thailand, Turkey, Saudi Arabia, Australia, Poland, France, Vatican! I wanted to copy the exact locations but it would take a long long long space. I wish I could have the opportunity to do something similar. I feel that such work is life enriching in numerous dimensions. It opens out “lenses” on people, life, history and tradition. Few years ago I discovered in my grandfather’s papers an old letter sent to him by one of his cousins, he was depicting his trip to Moscow and the little visit he paid to the city where he was born… Nalchik. This was my first time to hear about Nalchik, I ‘ve always thought that the city from where my great grandfather came from was Cherkessk. But now as I found out that my grandfather’s cousin was born in Nalchik, and that he actually met in the 1960’s some of his family members who recognized him, perhaps it was Nalchik after all. Another fact that might make me a Nalchik descendant is that my family is one of the Kabardine (القبارطاي), and Nalchik is the capital of Kabardino-Balkar Republic, one of the republics in the Russian Federation that has a major Adyghe population, along with Karachay-Cherkess Republic and The Republic of Adygea). Nalchik seems to be a quiet city, even though it is close to the troubled border line between Russia and Georgia. Yet it faced a crisis in 13 October 2005 when a group of armed men tried to take over the city and attacked policemen and army headquarters. The Russian special forces intervened, and life returned to normal after only a couple of days. I was happy to discover on Tripadvisor.com some interesting info and tips about the city. 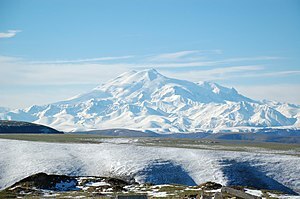 I also found in the forum of TripAdvisor.com the message of an English guy (Chris) who travelled to Nalchik last year, and created a website talking about his trip. Nalchik airport can be reached either from Moscow Vnukovo airport (daily flights, taking around 2 h), or from Istanbul (many weekly charter). Or as an alternative, there is Mineralnye Vody Airport, which is more important and has direct flights with West Europe, and it’s only 1 h and half from Nalchik. Tripadvisor.com also posted reviews of 2 hotels there: Grand Caucasus and Sindica Intour hotel (not exactly reviews, but at least pictures and essential info). P.S. you can find more interesting photos of Nalchik in the tourism official website.